Dr. Jeffrey D. Gershman has recently joined the faculty at the Capital University Conservatory of Music, where he conducts the Symphonic Winds, Wind Symphony, and teaches conducting. His past positions include serving as the Associate Director of Bands at the Indiana University Jacobs School of Music, the Director of Instrumental Activities at Texas A&M University-Commerce, and the Co-Director of Instrumental Music at Monroe-Woodbury High School in Central Valley, New York. Dr. Gershman maintains an active guest conducting schedule with both professional ensembles and high school honor bands throughout the country. 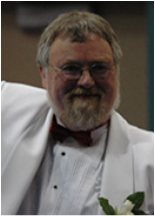 He has presented lectures at many state and national conventions and is in high demand as adjudicator, having judged band festivals throughout the United States as well as in Singapore and Australia. In addition, Dr. Gershman has published articles on repertoire, programming, and score study which have been hailed as “groundbreaking.” As an arranger, his transcriptions of works by Eric Whitacre, Frank Zappa, and John Corigliano have received critical acclaim, with performances at Carnegie Hall as well as regional and national conventions. 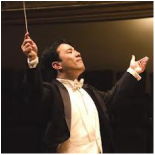 Jin Kim is in his eighteenth season as Music Director of the Atlantic Symphony Orchestra. Under his leadership, the Atlantic Symphony has been transformed into one of the premier professional orchestras in Boston and New England. Music critics of leading newspapers including The Boston Globe and the The Patriot Ledger, consistently praise the orchestra’s performances as “spectacular, dramatic, expressive, confident and unified.” During Kim's tenure the Atlantic Symphony has solidified its mission, expanded its repertoire and continues garner enthusiastic support from Boston's South Shore community and beyond. Kim has appeared with orchestra in the United States, Canada, Europe and Asia including the National Arts Center (Ottawa), Plzen Philharmonic (Czech) and Korean Symphony orchestras. Since 2001 he has also been a regular guest conductor of the Bucheon Philharmonic, one of the leading professional orchestras in Korea. In addition to his work with Maestro Leonard Slatkin and National Symphony Orchestra at the National Conducting Institute in Washington D.C., at the invitation of Maestro David Zinman, Kim also served as a Conducting Fellow at the Aspen Music Festival. Brian M. O'Connell is the Director and Founder of the Sarteano Chamber Choral Conducting Workshop in Tuscany. 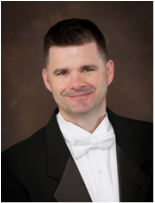 Brian is currently Director of Choral Activities at the University of Massachusetts at Lowell, where he directs the Chamber Singers, the University Chorale and teaches Conducting and Voice. Also, since 2004, Brian has served on the graduate faculty at The Boston Conservatory, where he teaches Secondary Choral Methods. Brian received his Masters Degree in Choral Conducting and Certification in Voice Therapy from The Boston Conservatory. At Boston University he completed all his course work for a Doctorate in Curriculum and Teaching with Music Education emphasis. For fifteen years Brian was director of the Concert Choir at Berklee College of Music. For nine of those years he also served as Chairman of the Voice Department. He has been on the faculty of New England Conservatory, Tufts, Boston University and Northeastern. In 2005, Brian was the first recipient of the Massachusetts ACDA Choral Excellence Award, and in 2009, he was inducted into MICCA's Paul Smith Hall of Fame. He is a past President of Massachusetts ACDA. Mike Tucker has performed as a leader and a side man all over the world. 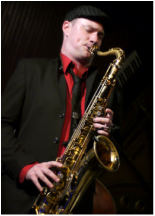 In 2002 he competed as a semi- finalist in the Thelonious Monk International Jazz Saxophone Competition in Washington DC, and soon after he attended Berklee college of music on a full tuition scholarship where his career got a jump start. The Mike Tucker Quartet has been invited to perform at jazz festivals around the world including the Phoenix Jazz Festival in Nagoya Japan, The Nancy Jazz Festival in Lorraine France, The Emerging artists of the 21st century concert series in San Jose Costa Rica, and Closer to home at the Kennedy Center in D.C and The JVC Jazz Festival in NYC. Tucker has also appeared on Several nationally syndicated jazz radio shows including Toast of the Nation on NPR, Voice of America, and on XM Satellite Radio Jazz and Beyond. Besides many engagements with his own group, Tucker is currently a member of Sony Recording artist Robin Mckelle's group and has performed with Esperanza Spaulding, Tiger Okoshi, George Garzone, Joe Lovano, Melvin Sparks, George Duke, Christian Scott, Fred Wesley, Eric Reed, Carl Allen, among many others. Most recently, Tucker recorded a live CD The Mike Tucker Organ Trio +1 featuring Warren Wolf LIVE" So far the group has been invited to perform at The Burlington Discover Jazz Festival, The Toulouse Jazz Festival in France, and The Bean town Jazz Festival in Boston, as well as Scullers Jazz club.